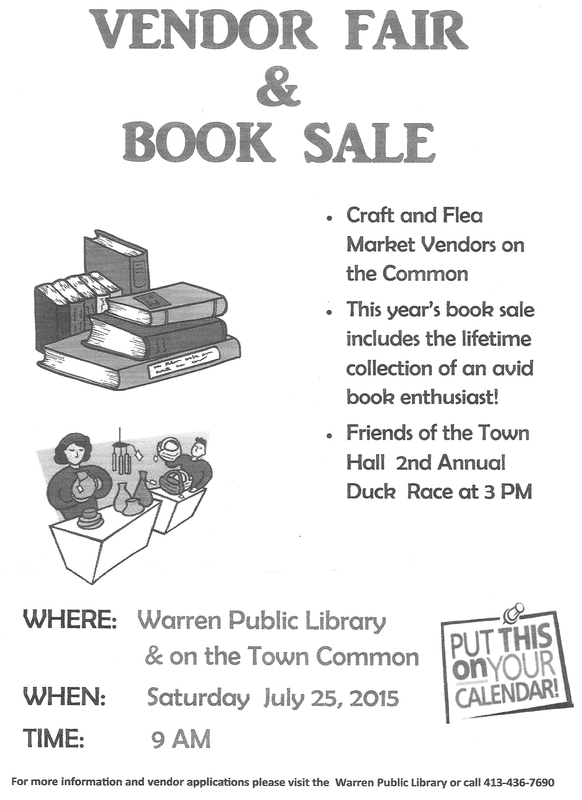 Come and meet Toto at the Warren Public Library on Tuesday June 28, 2016 at 3 PM! Toto and his person, Jonathan Hall, will be here to meet everyone and tell his story. Toto fans of all ages are welcome, and the event is free! Come meet Cinderella! She’ll sing beautifully, tell her story, show you how to bow properly and dance in a ballroom-style circle. 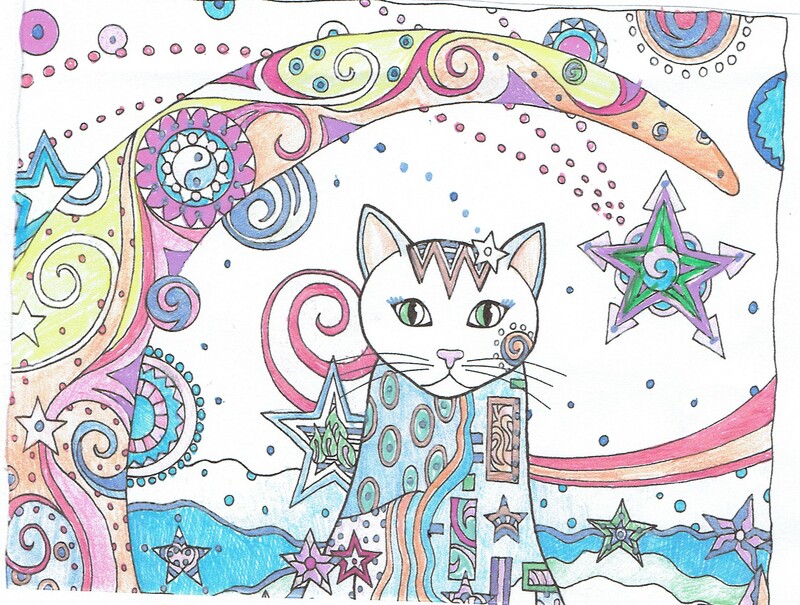 Little Princes and Princesses are welcome to dress up, too! Be sure to bring your camera for pictures with Cinderella. 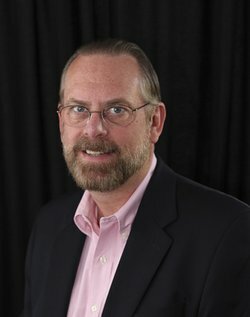 WEST BROOKFIELD, MA (March, 2015) – New England native Ed Londergan has written two historical fiction novels set in colonial Massachusetts, and both books have earned honorable mentions at the New England Book Festival. The Devil’s Elbow follows Jack Parker from his orphan childhood days as an apprentice to a greedy and brutal Boston merchant to the isolated pioneer settlement of Brookfield, where he ends up in the fight of his life to protect the people he loves. The book is set against the background of King Philip’s War, the single greatest catastrophe to occur in seventeenth century Puritan New England. Jack uses the knowledge his father gave him—that the measure of a man is how he deals with the worst life can throw at him —when he is met with his greatest test as he and 98 others are trapped in a four‐room tavern for three hot, humid August days, fighting for survival against 400 once‐friendly Indians who are determined to kill them all and reclaim their land and way of life. The story culminates in the first settlement of Quaboag Plantation in West Brookfield on Foster Hill. The story is based on real characters, many of whom were settlers on Foster Hill. “No other historical‐fiction book has ever been written about this part of King Philip’s War,” says Londergan. 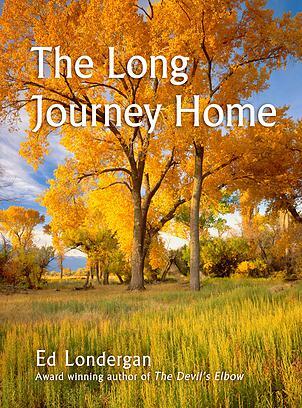 The second book in the Brookfield saga, The Long Journey Home continues the story of Jack and Becky Parker as they strive to make a life for themselves on the frontier in early colonial Massachusetts. During a violent and turbulent era, they endure every hardship to see their family grow, prosper … and survive. In their unstoppable love, they will sacrifice everything to be together. From the battles of King Philip’s War to Jack’s capture and escape and his brutal trek home through the winter wilderness to the wife and son he loves beyond measure, follow them as they persevere to make their dreams come true and find the one place that is truly home. Londergan is an award‐winning author, colonial historian, and passionate storyteller. A graduate of Holy Cross, he lives in central Massachusetts with his wife, Barbara. For more information on The Devil’s Elbow or The Long Journey home or to schedule an interview with the author, visit www.edlondergan.com or email ed.londergan@gmail.com. 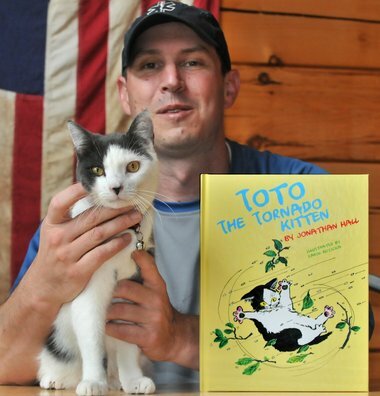 On June 2nd , 2011, about 24 hours into the tornado recovery efforts, an unknown tree worker brought little Toto to the Brimfield Fire Station, where Jonathan was on duty with Brimfield Ambulance. After a brief conversation with the tree worker, it was obvious that Toto was found alone in an area of storm damaged trees in Brimfield. Toto, who was obviously very young and only weighed six ounces, was cold and hungry. Jonathan and other EMS personnel cared for Toto throughout the day. It was determined that Toto was in need of veterinary care and the workers from the Animal Rescue League of Boston, who were in town helping out with a number of large animals who had been trapped or injured, stepped in. Toto was taken to their facility where, despite being critically ill from his tornado ordeal, was passionately cared for and nursed back to health. Veterinarians who evaluated Toto felt that he was only 2-3 weeks old at the time he was found. In August, Jonathan’s wife, Amy, surprised him and adopted Toto from the ARL. It was a joyous reunion. Toto had returned to Brimfield, where he belonged. Toto continues to live “comfortably” with Jonathan and Amy and, through his friendly nature, shows how grateful he is to have been saved. Toto has been an example of a positive outcome within such a tragic time.